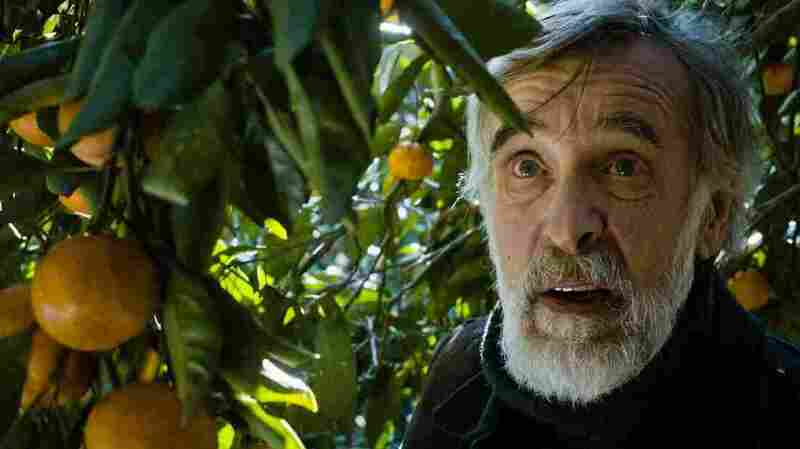 'Tangerines': Enemies On Neutral Territory In A Time Of War The surprise Oscar nominee for Outstanding Foreign Film tries to speak to common humanity even in situations of high conflict, but it struggles to make its themes feel real. The fighting in Georgia can be hard to follow from afar, but it traces a theme that has been recurring ever since the Soviet Union shattered into 15 countries in 1991. Georgia was one of those lands that gained independence, but it soon degenerated into a war in the northern region of Abkhazia, where Russian-backed separatists carved out a piece of territory they claim and hold until this day. The conflict feels eerily familiar now in the context of the current turmoil in Ukraine, and has haunted much of recent Georgian cinema (or, to be fair, the limited scope of Georgian cinema that reaches North American audiences). In 2012's The Machine Which Makes Everything Disappear and 2013's In Bloom, the war is never directly seen but its ravaging effect on Georgian society—the thousands of dead, the broken families that resulted—is evident. Zaza Urushadze's Tangerines, meanwhile, is actually set during the war, but the movie examines the conflict so circumspectly that it actually feels more distant than in either of the other films. Urushadze's movie, a surprise Oscar nominee earlier this year for Best Foreign Language Film, centers on Ivo (Lembit Ulfsak), an Estonian living in what is now a Georgian war zone. While the majority of his fellow Estonians have returned home to escape the conflict—according to an opening title card, Estonian communities in Georgia date back 100 years—Ivo has stayed to help his neighbor, Margus (Elmo Nüganen), harvest his tangerine crop, for which Ivo makes the crates. Ivo and Margus seem relatively protected from the front lines of the war, but the conflict comes to them when two Abkhazian mercenaries arrive looking for food and proceed to get in a gunfight with Georgian soldiers outside Margus's home. Two wounded men emerge—the first, Ahmed (Giorgi Nakashidze), an Abkhazian; the second, Niko (Misha Meskhi), a Georgian—and Ivo brings them both back to his house to help them recover. The set-up—two enemies living under the same roof, both owing their lives to a gracious, neutral party—is already more allegorical than realist, and Urushadze's script never pushes much further. The arguments between Ahmed and Niko—who both promise Ivo they won't kill each other in Ivo's house—are simplistic: One says the land they're on is Abkhazian, the other that it's Georgian; Ahmed emasculates Niko; Niko calls Ahmed uneducated. It's not, to say the least, a deep or particularly insightful examination of the roots of war. Instead, it's evident pretty early that Urushadze is pushing not toward an examination of war but to an appreciation of our common humanity. (Margus's tangerines—superfluous and at risk of neglect during such a violent conflict—are overused as a symbol in this respect.) Some might reject the message outright, but even if it appeals, here it's too far removed from reality to be effective. For one, the event that catalyzes the inevitable reconciliation of differences between Niko and Ahmed is nearly unbelievable in its contrivance. But most of all, because the conflict between Abkhazians and Georgians is so sketchily drawn, the ultimate heartwarming tone of the film seems not so much unearned as unspectacular. There might be, to be fair, a problem of cultural translation. American films need only scantily explain the horrors and importance of the Vietnam War because they're a matter of common knowledge at this point. The same may be true of the Abkhazian War in Georgia. But there's still a difference between Tangerines and the more successful In Bloom or Machine. The latter two don't explain much about the war either, but you can see its effects on the faces of its characters and subjects. In Tangerines, that same work is left entirely to our imaginations.